In an exclusive interview, the best NEBOSH Diploma candidate for 2018, Vanessa Hill speaks to SHP about how the course has helped progress her career. Vanessa Hill completed her NEBOSH National Diploma last year, with RRC Trainer Zoe Neasham. 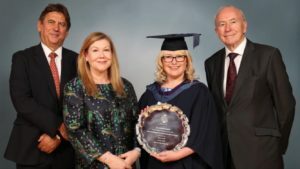 She went on to be crowned the best NEBOSH Diploma Candidate for 2018, after achieving the highest overall mark both nationally and internationally. What was your motivation to study this qualification? 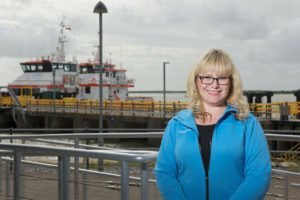 Vanessa Hill (VH): “As a HSE Professional working in the Renewable Energy sector (Offshore Wind); I feel it is essential to maintain your professional development. I had been working in Health and Safety for almost five years and felt it was the right time to undertake additional studies to increase my level of competence. I wanted to broaden my knowledge of certain health and safety topics I had less experience in and develop a wider understanding of the subject as a whole. What were the challenges when studying for the NEBOSH Diploma? 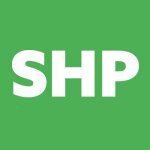 (VH): “Initially, I found some of the content challenging to understand – the topics are not difficult, however some of the material covered aspects of health and safety which I had no previous experience of. I find it easier to relate to things where I’ve had direct exposure or practical experience of them. I read thoroughly and asked questions in the classroom. Once I got the theories into my head I had no problem. Did you aim to become the best Diploma candidate of the year? (VH): “During the first week of the course, our trainer Zoe Neasham was discussing pass marks and casually mentioned there was an award for Best Candidate. When I heard this I immediately thought to myself ‘I want that award’. How has this achievement changed your career? 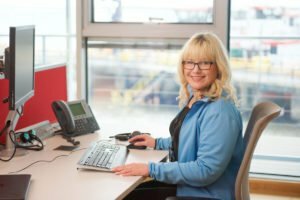 (VH): “The NEBOSH Diploma has changed my life for the better. Since gaining this qualification I’ve changed jobs internally twice. My first move was an internal promotion into a cross-departmental support role, where I took on responsibility for the HSE Management System implementation and acted as Lead Internal Audit Coordinator. Having the background knowledge from the NEBOSH Diploma aided me, meaning I could comment on a wider range of subjects. “I’ve recently changed roles again and moved into a newly formed HSE Project Management Office where I’ll be working on exciting cross-functional and cross-portfolio projects. Focusing on driving changes in the way we work and looking to standardise our processes across the organisation to support our goal of delivering world class QHSE. My first project includes setting up a new Integrated Management System for the entire organisation; I know that what I learnt in my Diploma will be invaluable in this role. Do you have any plans to study further? How did you find the learning experience with RRC? (VH): “The support from RRC was excellent – the tutors were very knowledgeable and have practical experience of undertaking the Diploma. This was helpful when asking questions or trying to understand topics. They managed to keep delivery of the course content engaging, even on the ‘heavier’ subjects. Their support and willingness to assist outside of the classroom was superb, consequently everyone on the course felt confident in the preparation for our exams. ‘Since gaining this qualification I’ve changed jobs internally twice’: In conversation with Vanessa Hill In an exclusive interview, the best NEBOSH Diploma candidate for 2018, Vanessa Hill speaks to SHP about how the course has helped progress her career.